We have conducted a survey of 575 slow-to-fast stream interaction regions (SIRs) using Solar Terrestrial Relations Observatory (STEREO) A and B data, analyzing their properties while extending a Level-3 data product through 2016. Among 518 pristine SIRs, 54% are associated with heliospheric current sheet (HCS) crossings, and 34% are without any HCS crossing. The other 12% of the SIRs often occur in association with magnetic sectors shorter than three days. The SIRs with HCS crossings have slightly slower speeds but higher maximum number densities, magnetic-field strengths, dynamic pressures, and total pressures than the SIRs without an HCS. The iron charge state is higher throughout the SIRs with an HCS than the SIRs without an HCS, by about \(1/3\) charge unit. In contrast with the comparable phases of Solar Cycle 23, slightly more SIRs and higher recurrence rates are observed in the years 2009 – 2016 of Cycle 24, with a lower HCS association rate, possibly attributed to persistent equatorial coronal holes and more pseudo-streamers in this recent cycle. The solar-wind speed, peak magnetic field, and peak pressures of SIRs are all lower in this cycle, but the weakening is less than for the comparable background solar-wind parameters. Before STEREO-B lost contact in October 2014, 151 SIR pairs were observed by the twin spacecraft. Of the dual observations, the maximum speed is the best correlated of the plasma parameters. We have obtained a sample of plasma-parameter differences analogous to those that would be observed by a mission at Lagrange points 4 or 5. By studying several cases with large discrepancies between the dual observations, we investigate the effects of HCS relative location, tilt of stream interface, and small transients on the SIR properties. 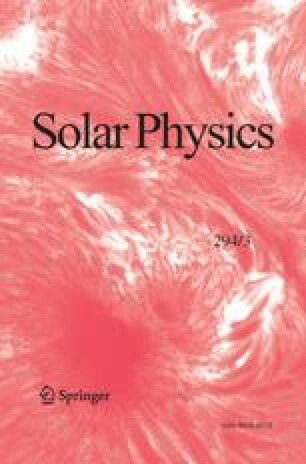 To resolve the physical reasons for the variability of SIR structures, mesoscale multi-point observations and time-dependent solar-wind modeling are ultimately required. L.K. Jian is supported by NASA’s Science Mission Directorate as part of the STEREO project, NASA’s Living with a Star and Heliophysics Supporting Research programs. L.K. Jian thanks P. Démoulin, N. Lugaz, and X. Zhou for the helpful discussions. C.T. Russell and J.G. Luhmann appreciate the support of NASA grant NNX15AG09G for IMPACT investigation. A.B. Galvin is supported by NASA grants NNX15AU01G and 80NSSC17K0556 for PLASTIC investigation. We are grateful to the STEREO mission team and NASA’s Space Physics Data Facility for providing the data needed for this study.